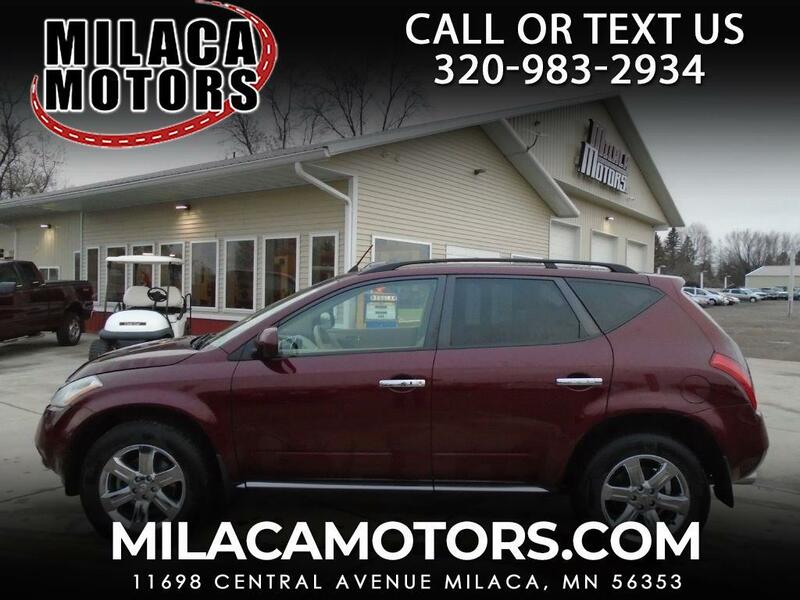 Sporty and stylish, our 2006 Nissan Murano SL AWD appeals to those wanting the looks and storage of an SUV, but with car-like handling. This SL comes in All Wheel Drive, powered by a 3.5 Liter 245hp V6 and a CVT, which transitions seamlessly between gears for a smoother ride as well as earning you 24mpg highway. This machine features heated seats, leather seats, sunroof, full power accessories, AM/FM stereo, CD player, and so much more. With great handling and seating for up to five people, this crossover will take you wherever you need to go and do it with style and safety. You will find a myriad of safety features of ABS, child safety locks, and plenty of airbags. You will see that this is one crossover that you don't want to miss out on! Print this page and call us Now...We Know You Will Enjoy Your Test Drive Towards Ownership!